My nephew, his wife and new baby came up to Oregon to see my brother and sis-in-law, (the new grandparents), and since I’ve never seen the baby or met his mom, Nolemana and I drove over to the coast on Sunday to spend the day. 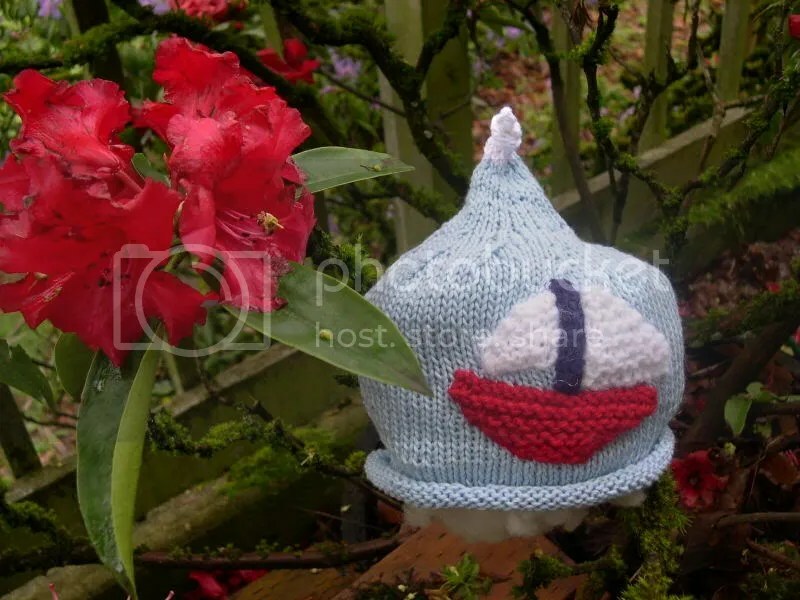 When I’d found out that they were coming, I wanted to knit a special baby hat for this special baby. This is the baby I’d knit the spiral baby blankie for. I wanted it to be something really meaningful, and finally found a cute pattern from “Itty Bitty Hats”, by Susan B. Anderson. My brother and I used to go sailing around the Diamond Head area with our dad in our small sailboat. Those were some of the happiest days of my life, out on the warm, beautiful Pacific Ocean that surrounded our island home. 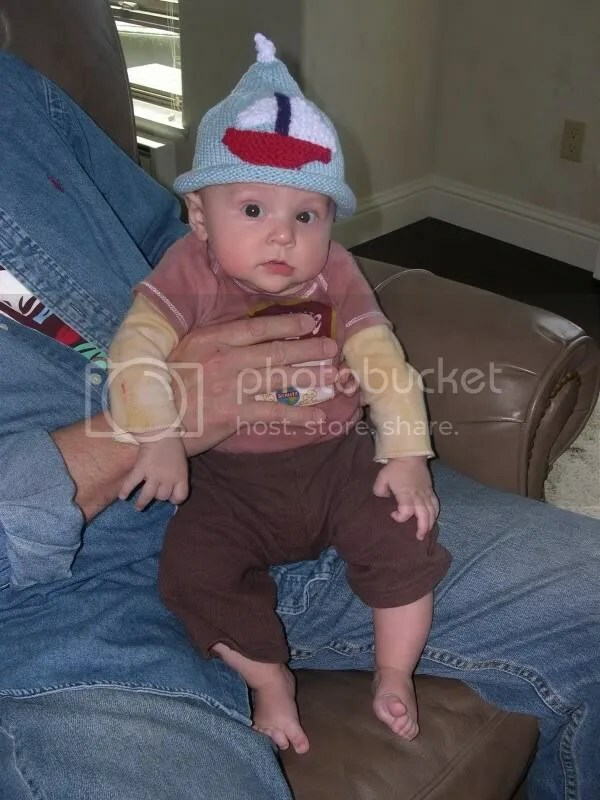 So I made the baby a hat with a sailboat on it, as kind of a generation to generation kind of thing. Maybe this new baby will end up being a sailor too someday! The hat on the baby… it fits! Hey There- It was great to put a face with the name and met in RL.. I am so bummed I could not sit for a bit and knit. Definately need to make a time to do dat. Seems like a great group of ladies you were shopping with too.. Hope you had a great weekend. Cute hat! Hope you had a good weekend. I was down in Portland on Saturday. It was beautiful! You are a much better knitter than I thought! Wow!